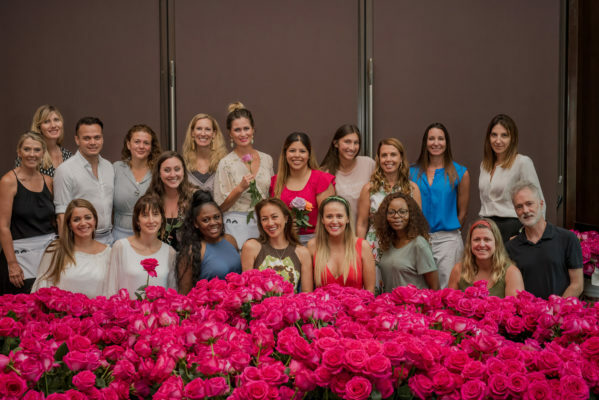 The latest edition of the exclusive Floral Masterclasses “The Floral Experience” that took place in Costa Rica at the stunning Andaz Resort at Península Papagayo in June was, as always when it comes to Karen Tran, a spectacular fantasy brought to life. 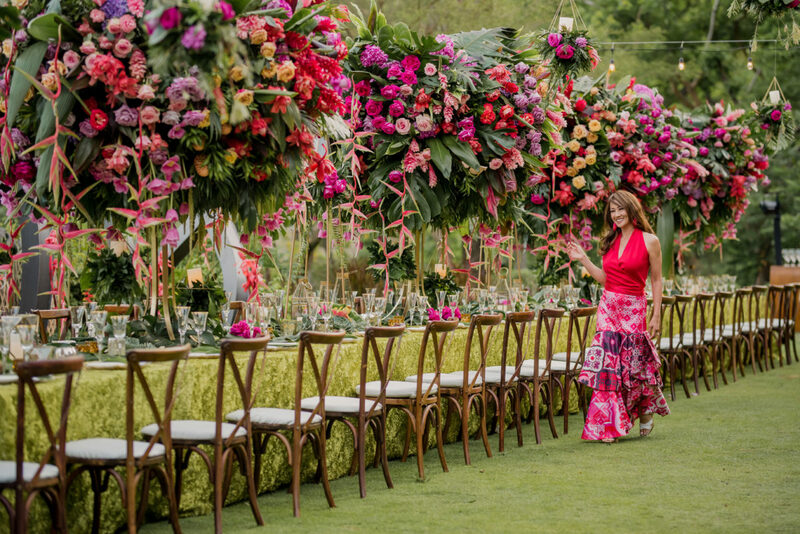 Karen’s exquisite artistic creativity coupled with her vast experience in the luxury event industry all around the world shines in every arrangement she touches, and this was no exception. Her courses are comprehensive three-day events that focus on ensuring hands-on experience, and end with an impressive gala showcasing the floral installations created with the students. In this occasion, and with the floral support of Cristina Coronas from ArtFlower, they created the most elegant version of a tropical paradise. For it, they used 7,500 stems of Rosaprima roses in Cool Water, Moody Blues, Purple Haze, Pink Floyd, Topaz, Geraldine, Jessika, Cherry Brandy, Iguazú, and Miracle, together with several different tropical plants, demonstrating the amazing versatility of the rose. Karen Tran’s Floral Experience Masterclass attendees in Costa Rica with a sea of Rosaprima’s fabulous Topaz variety. We are honored at Rosaprima to be Karen’s choice of luxury roses. It is always exciting for us to see our exclusive blooms beaming in Karen’s creations. We are continuously impressed! Thank you Karen, Cristina and all the attendees for this most extraordinary floral artwork! 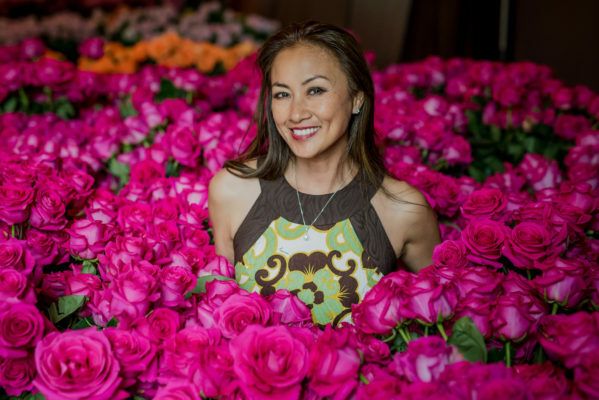 Karen Tran surrounded by Rosaprima roses at her latest masterclass in Costa Rica.